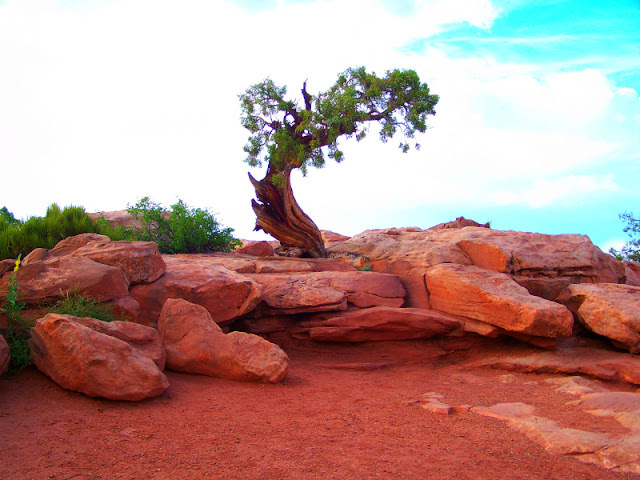 This week for Travel Tuesday in continuing with my showing you some of Utah's amazing sights. 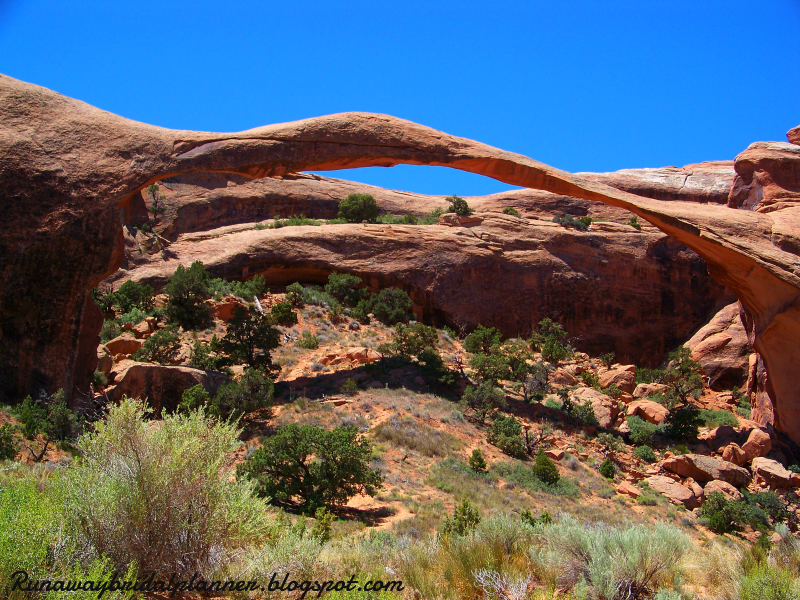 I am going to take you on a virtual adventure of the longest natural arch in the world. 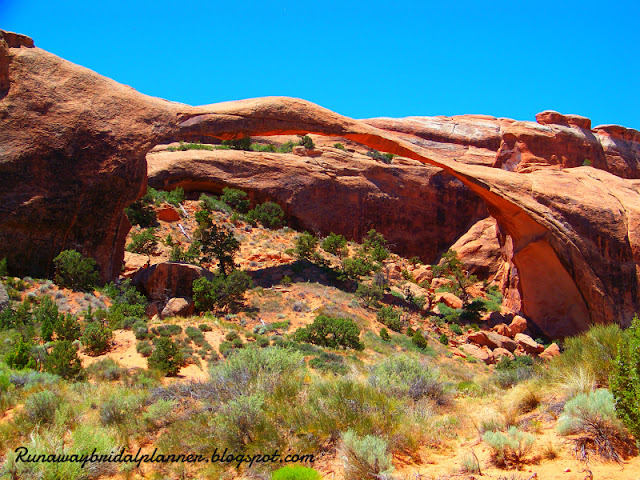 Landscape Arch in Arches National Park, Utah. 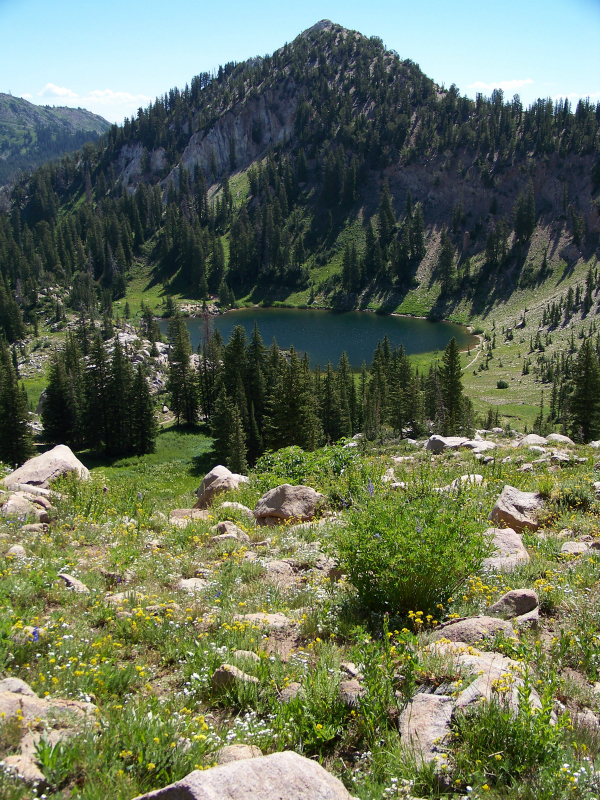 This is actually a very easy hike to do. In fact it's only 1.5 miles round trip. 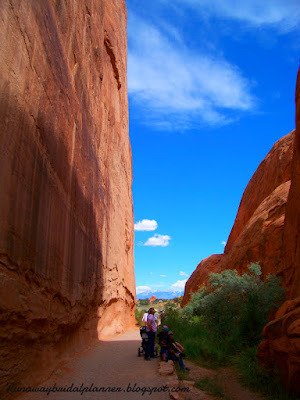 You get to it, by driving to the end of Arches National Park, and park in the Devil's Garden trail head. 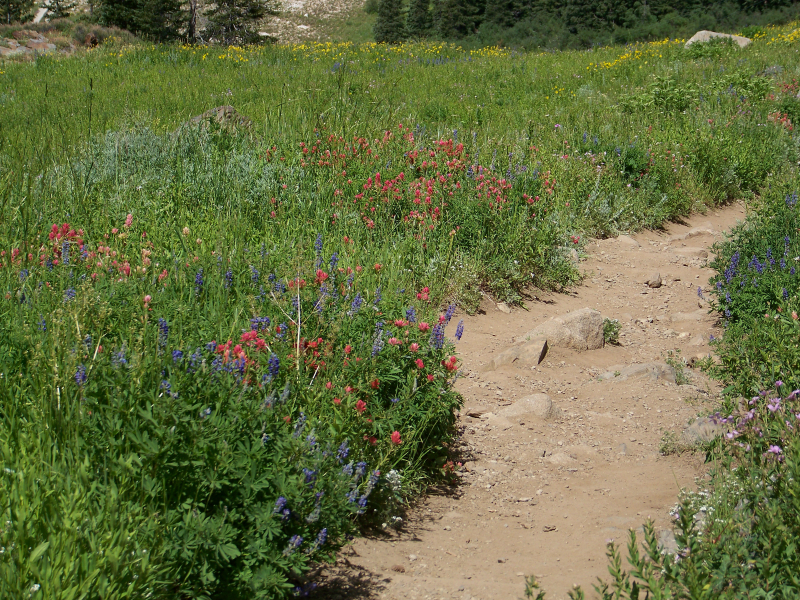 The trail is paved in some portions and is very wide and easy access for almost anyone. Years ago, you used to be able to hike up under the arch. But oddly enough, one year when I was up camping in the park back in 1991 with my family 3 large slabs of rock fell. They weren't just small slabs of rock either, they were the size of cars. I didn't see them fall, they fell during the night. I didn't hear the large crack, but I remember going up after and it was clear the thin part along the top, hadn't been so thin the day before. Because of this, they closed that section of the trail and you are no longer allowed to hike up under it. I was going to try and dig through family picture's to show a before and after, but I haven't had the time, sorry. However, there is a viewing area right in front of it, that you hike right up to now. So you still get to see it, and hike all around the area if you'd like. I believe last measured the arch spans at around 290 feet. One thing about Landscape Arch, it's an older arch that you never know how much longer it will be around. Some speculate it will have fallen away to rubble in less than 100 years. But while it is here in all it's beauty now, you should consider taking a trip to see the worlds longest natural arch to see it! 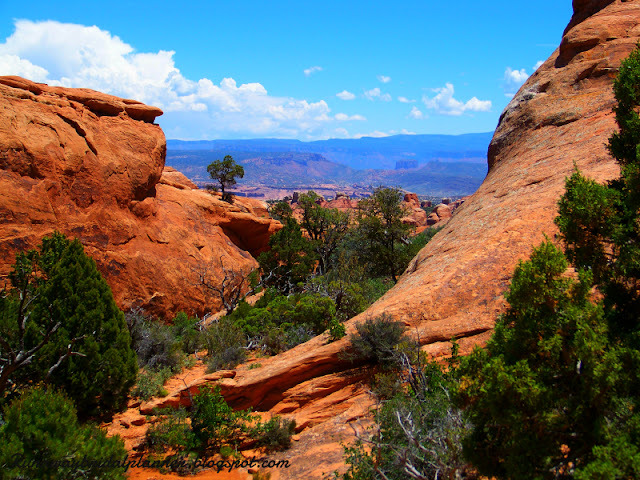 Have you been to Arches National Park before? 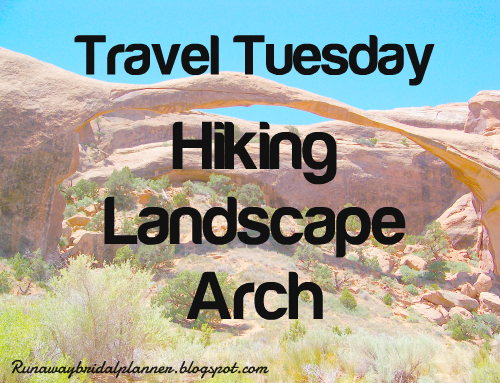 Did you check out Landscape Arch? This past week was full of great times and fun adventures. I'll give you a little run down, in no particular order. 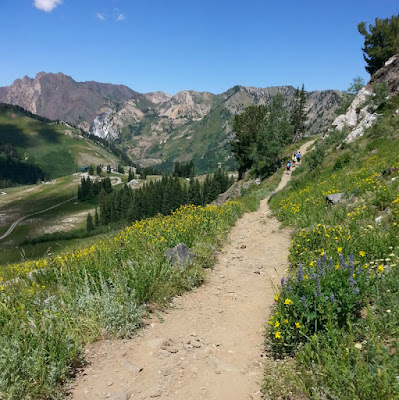 It was the Wildflower festival that one of the ski resorts in the canyon I was hiking in was having. I had no idea, so this was a pleasant surprise! All the mountain meadows were just covered in several pinks, yellows, oranges, purples, whites, reds and more. 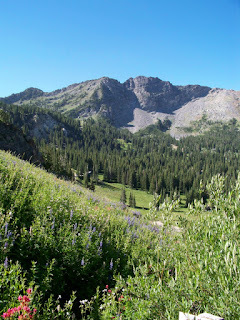 I could have just walked through these meadows or sat and relaxed and enjoyed the view all day! 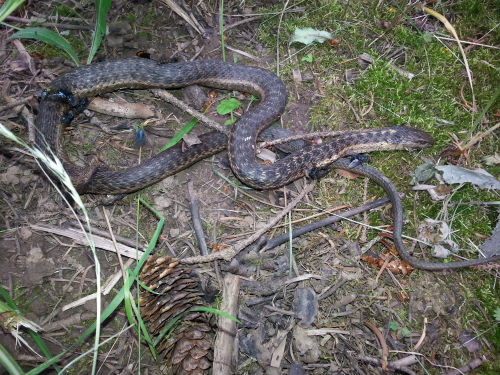 So I did get out on another one of them Saturday morning. 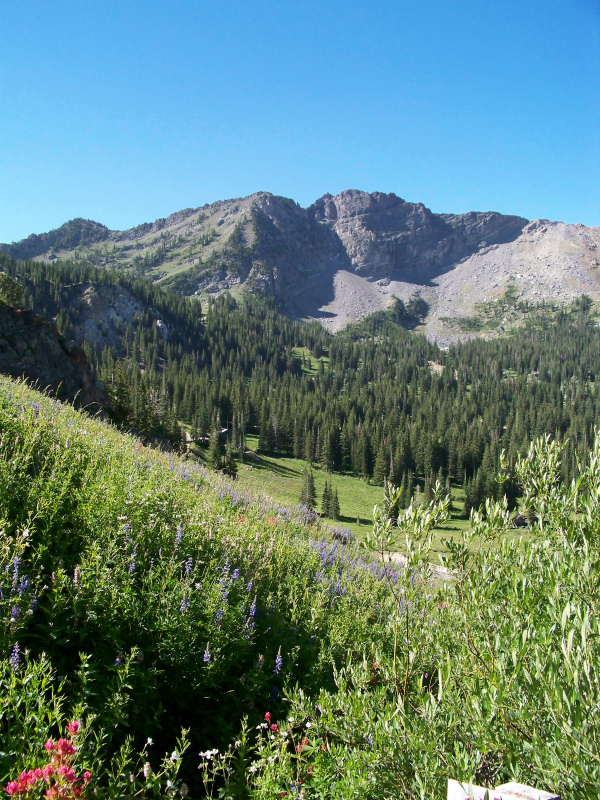 I felt bad though, I went hiking with an friend of mine, and she ended up getting altitude sickness. Poor girl she started getting it nearly from the beginning. We were up around 8,300-10,000 feet and even if you live in Utah it can still happen to some. I haven't experienced it myself, I seem to acclimate well everywhere. But I felt really bad when she started throwing up. It did cut our hiking day short, but not before we did get out and see some beautiful things. 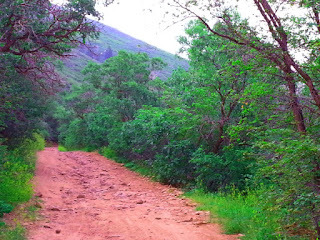 I have been in this canyon before, but never on this trail. I can't believe I have lived so close to this view most my life and this is the first time I have hiked here. Stunning isn't it! The Hills Are Alive With The Sound of Music so of course I joined in and sang. I have to say, this view totally fits that don't you think of end of the Sound of Music too? It's a new very FUN roller coaster that just opened. I have been watching it being built for a year. So of course my sisters and I had to go try it out. * It has the steepest drop of any roller coaster in the entire US, and the 4th steepest in the world. 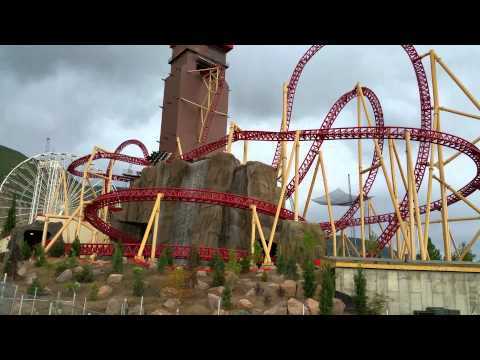 * Holds the current World Record for the tallest beyond vertical drop on a roller coaster. You go up a 208 foot completely dark elevator, that opens up, and It has a 116 degree vertical drop. 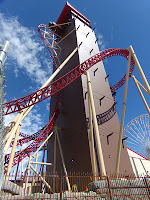 So ya, you not only do a vertical almost 200 feet drop in the first decent, but it's inverted so your upside down for the drop. So awesome! That's only the first inversion, I lost count but I think there were 3 or 4 more along the rest of the way. 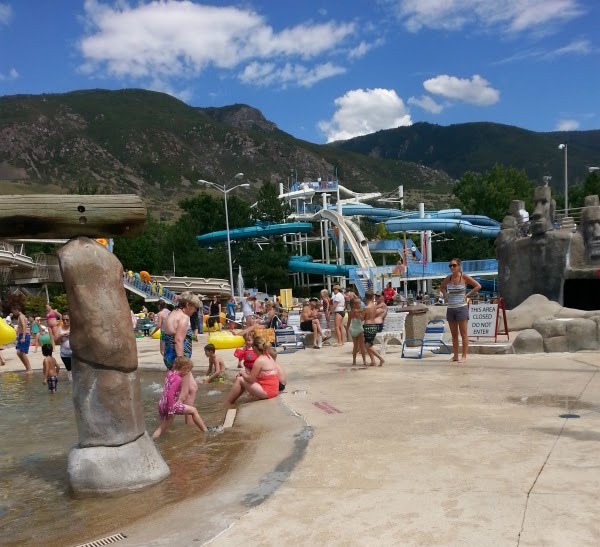 If you live in Utah, or are visiting it's totally worth it, it's a great time for roller coaster lovers like me! LOL Did you watch it? 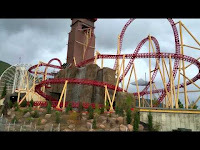 What can I say about that, totally loved it, so fun!! I mean they really out did themselves on dumb horror comedy and I loved their choice of picks for Pres and V.P, LOL awesome! Bring on #4!!! Another view from my hike. If you don't know I am a HUGE fan, I try to watch each stage every year. I was rooting for the American TJ Van Garderen, but I was totally bummed when he dropped out Wednesday. I really wanted him in the top 3. Truthfully, I love watching the Alps stages, so gorgeous! Never wanted to visit France until I saw all the pictures of the Alps a few years back, and now if I ever make it there, skip the cities, leave Paris for the other tourists, I just want those mountains! 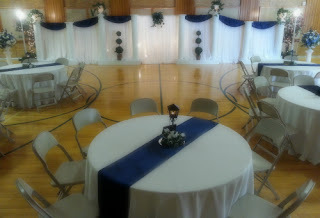 Got through a small indoor wedding this week, put it together in less than 24 hours. It turned out beautifully, the bride was very happy! I don't normally do that. But I am getting better and better at rush jobs! I actually read a couple this week. Normally I just read on Sunday afternoons, but I had a few extra hours to relax with during the wedding Tuesday and then Friday was a state Holiday, and I relaxed in the afternoon and read a book before the fireworks. Red Queen by Victoria Aveyard - Must say I couldn't put it down, I haven't enjoyed a book this much since the Selection series. For my YA reader friends, this is one you definitely want to put on your list to read! Cuckoo Song, by Francis Hardinge. Strange, but sometimes I like something different and weird to read! 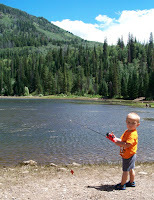 I plan to get back to book reviews on Wednesdays, but when life slows down a little. Maybe this fall! I also read one called Ultraviolet by R. J. Anderson which has been on my reading list for years, loved the twist even I wasn't fully expecting! 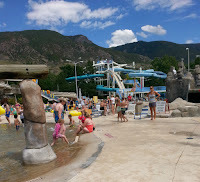 Visited a water park again this week with 5 of my nieces and nephews! Rains came that cut it short, but it was still fun! Let's just say it was probably more fun for the kids, but I love playing with them so its fun for me too! 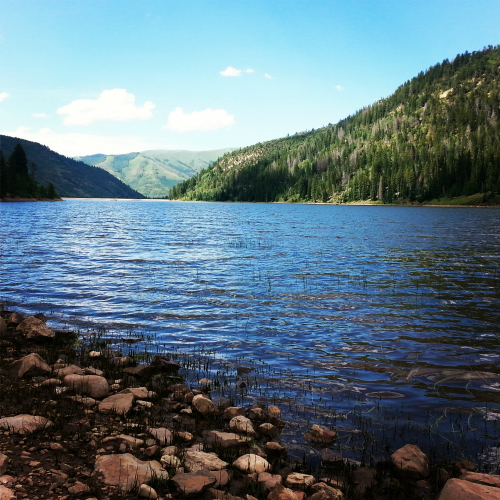 The lake I hiked up to. 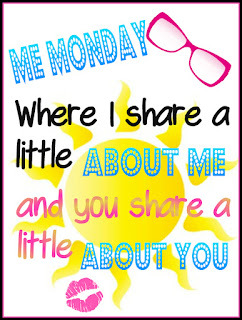 What was the highlight of your week? Anyone been on any fun vacations? Have you read any great books this summer? A few weeks ago, I wrote a fun popular post about What Running Can Do to You, if you missed it and need a smile, make sure to check it out HERE. This particular post idea came up entirely based the thousands of ideas running through my head as I am out running. It is actually almost entirely different than the post mentioned above and based purely on the proficiencies we acquire as runners. So with a little humor in mind, sit back and I hope you get a little laugh about all the skills that running teaches you, that maybe you hadn't thought of before. So anyone who has ever trained for a race (especially distance running) learns the valuable ability to locate water. It's quite the thing actually, we can tell you with precise knowledge exactly where each water stop is within a 6-9 mile radius of our homes. We really are great at entertaining ourselves. Who needs T.V. or movies to pass a few hours. We can create some pretty amazing things in our minds whether we are listening to the wind or our favorite tunes. We can go for miles and hours and not get bored with our own thoughts! I think that is because all the endorphins keep our minds flowing, that or we are just the best daydreamers out there! Runners have the ability to without fail plan out a wardrobe for each run. It's a nightly ritual, we may not take the time to figure out what we are going to wear to work that day, but we sure do set out our running clothes, from underwear, clothes and even shoes out so we can crawl into them in the morning. Some even just sleep in them, to make the morning crawl out of bed and out the door easier. If we have a race coming up, most of us know a month or more before the date exactly what we plan on wearing, and those of us who are smart ones even test them out a few times to make sure they are without a doubt the most perfect choice of apparel. If you're a runner you know what the weather is going to be like, especially on long run weekends and of course race weekends. Sure we will run in snow, sun, wind or rain. But regardless, if we are training, we can tell you exactly what to expect from the skies. On top of that, we have a different outfit for every single weather option possibility and sometimes if you were to check our packed race bags, you might find several to choose from in them, just in case. Most runners and especially distance runners, if you take them out for a walk or run anywhere within a 1-10 miles of their home they can tell you to the 10th of the mile exactly how far you've gone. In fact, most will be able to do this without any type of GPS. We may say weird things like, the grocery is 6.2 miles round trip or work is 10.5 miles away. 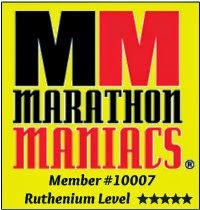 In addition to that, take us distance runners out on a run in a new area we have never been. No matter the distance, leave the gadgets at home, and we can tell you by the way our bodies feel, pretty darn close to exactly how many miles we've gone anytime you ask us. Or don't be worried if we respond to your distance question with; it's only a lap around the track. If it's 3-6 miles away, don't be surprised if we respond to you in kilometers, because in our minds we are thinking it might just be a 5k or 10k away. In addition to water sources, we are also brilliant at being able to tell you exactly where public restrooms are. Trails or roads near our homes, we can probably tell you how to get to one within a mile or less distance no matter where we are. If we can't tell you exactly where a good bathroom is, we can likely tell you the right place in the woods to go and not be seen! It's true, you see them on the news each winter the crazy people who will run out into freezing waters for a second or two and then run back to shore and wrap themselves up in a blanket. We as runners have them beat! Quite frequently you will find us after a long run or race sitting in an ice bath, with cubes floating around us. One to two seconds, not a chance try 10-25 minutes of sitting willingly in freezing water! When we look at those winter ice plungers, all we give them is shoulder shrug, because we know what tough and freezing really means. No matter if we only run 5k's or shoot for Marathon's or an Ultra's. Catch us after a good run, and we will probably tell you a long story about the great run and all the amazing runs and new distances we are excited to try. It's true, no matter if it is just our normal endorphin high from starting or ending our day with a great run. Or that rare but yet possible time when we can hit that runners high and we can just keep going, and going and no matter if is mile 20, pain is something of the past. We as runners can get numerous different types of high's and we don't have to take a single drug to do it... Well unless you count our need for a run a drug, because in that case for most of us it is true. There are actually so many more, but I will stop there. 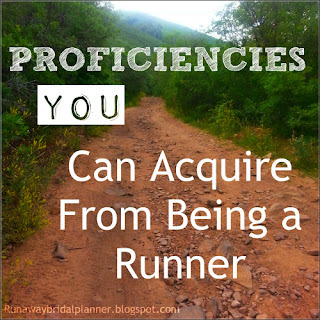 Share with me some of the proficiencies you have gained as a runner. 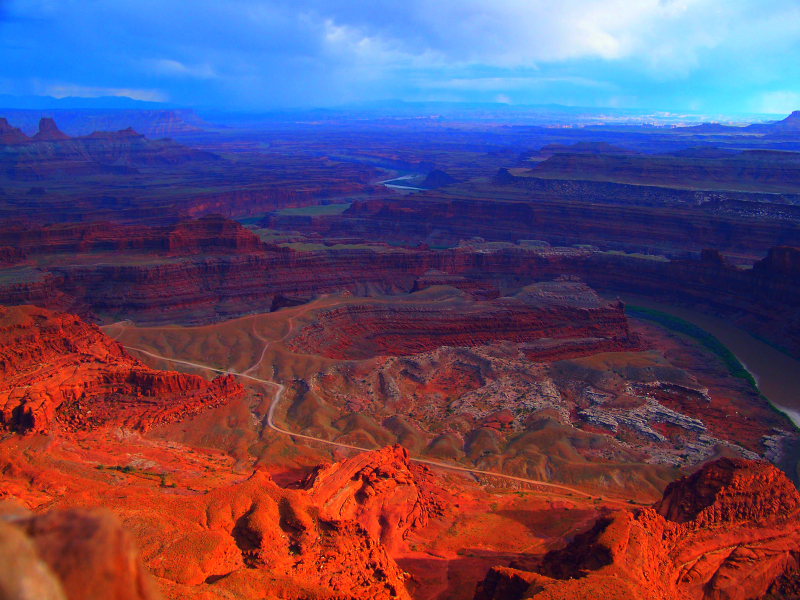 Dead Horse Point has been said to be one of the most photographed vista's in the world. 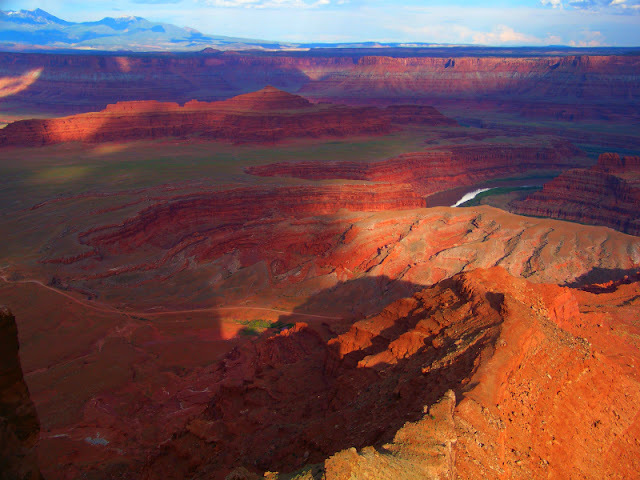 It is also one of Utah's State Parks, and only a 32 mile drive from the also world famous Moab, UT. I have been there many times, but recently took a trip there to grab some more photo's for this blog post! 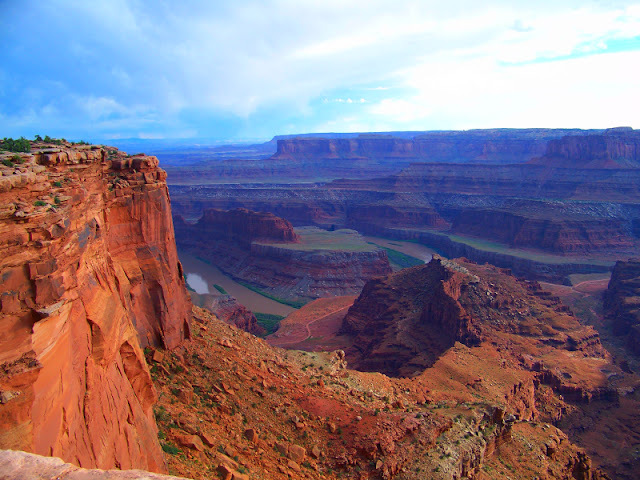 If you haven't heard of these places, you likely either haven't visited out west, or you just missed out on them when you did. Because they really are stunning to see in person! However, if you haven't visited you might have seen a photograph of it, if not, you have now! Towering a little more than 2,000 feet above the beautiful Colorado River, in a section of Utah. Lies this beautiful and panoramic view of the canyon below. It took millions of years to create this geographic wonder. 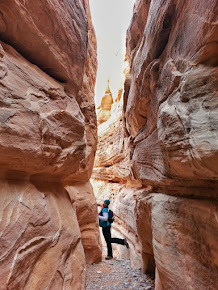 Ancient oceans, rivers, sand storms and wind tore through this area to create these canyons, sculptures and buttes. Depending on the time of day, the colors are vibrant shades of reds and oranges and even yellows. How did it get its name? 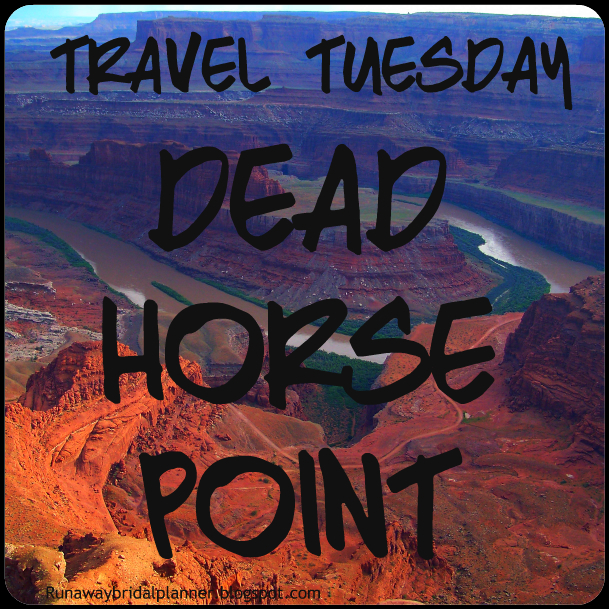 Legend has it, that at one point Cowboy's used to herd wild mustang horses to the point, and corral them here. But at some point, they forgot about the horses for a period of time and since there is no water up on top, the horses died of thirst. The poor horses, probably looked down at the river running below, but there was nothing they could do to get to it and their fate was sealed. 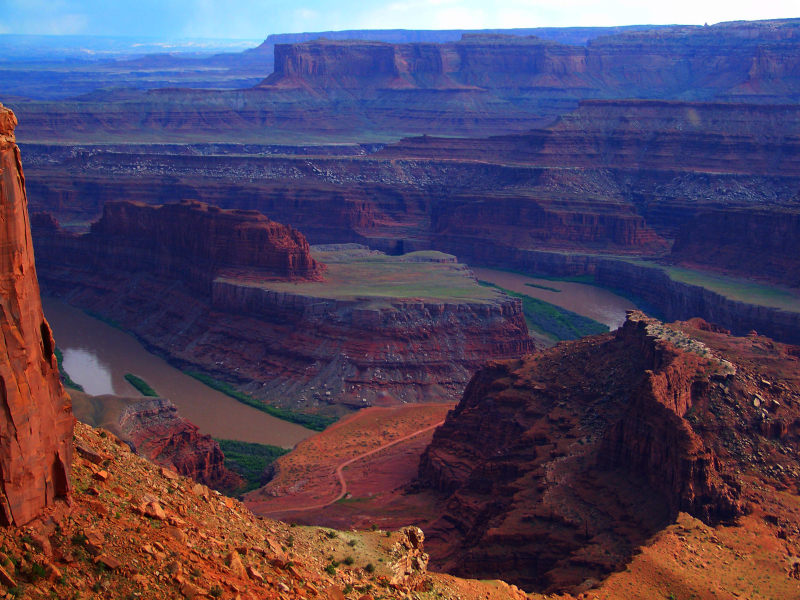 Once they were discovered, they started calling it Dead Horse Point. What can you do there? You can enjoy the sunrise and sunset views. Visit the visitors center, or stay at one of the campgrounds. You can also hike along some of the several maintained trails, or bring out your mountain bike and take a ride. If you have only half a day or just one day, you can still see and do a lot of the park. 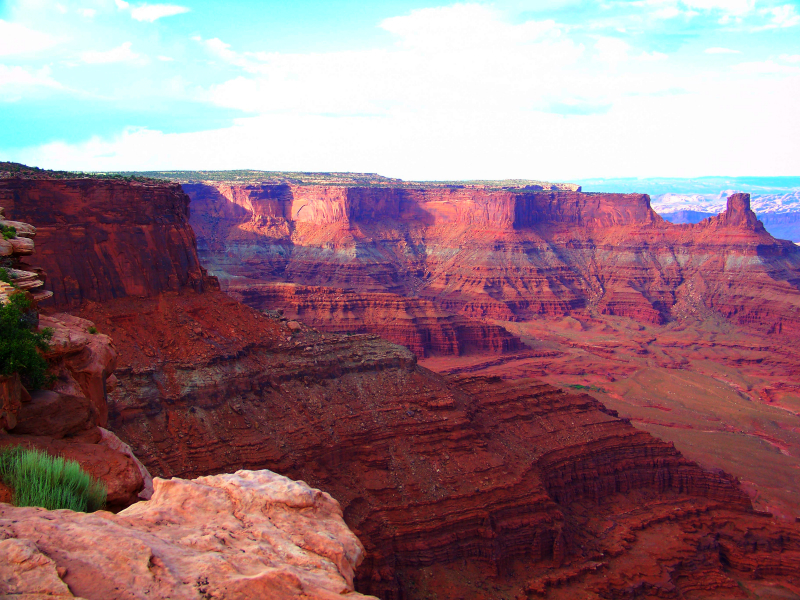 This state park is open year round, and has amazing views no matter what time of year you visit. It is also a short drive from Moab, if you are looking to see and do something different while visiting there. Currently there is a $10 entrance fee per vehicle. 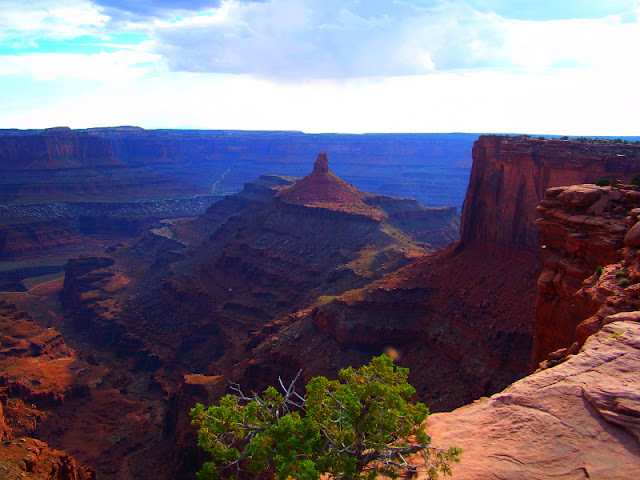 This is also a great side trip if you are visiting the Island in the Sky section of Canyonlands National Park. Which I highly recommend too! The summers can get hot, very hot. This is the desert! So bring water! Also being the desert, there are biting flies so bug spray is always a good option to bring as well. Winter months can get cold, especially with the winds up on top. If it starts to storm (lightening), it's always wise to take cover until the storm passes for safety reasons. This is a beautiful and peaceful place, even if you just come up to relax and enjoy the view and do a little self meditation, you will enjoy the trip out to the point if you do! Have you been to Dead Horse Point before? Or have you seen pictures? If you visited, don't you agree it is stunning? 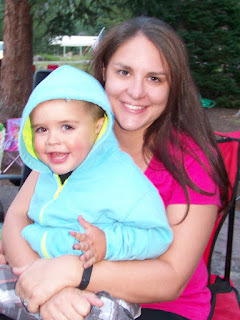 Possibly some of you may have noticed I have been a little MIA again in the blogging world. I have missed reading some of my favorite blogs, and sharing posts but I have to say I've enjoyed being offline quite a bit too! A few days after I returned from the week at the youth girls camp, I of course (because this is me we are talking about) came down with another bad cold. But you know, it's just as easy to be sick at home as it is up camping. 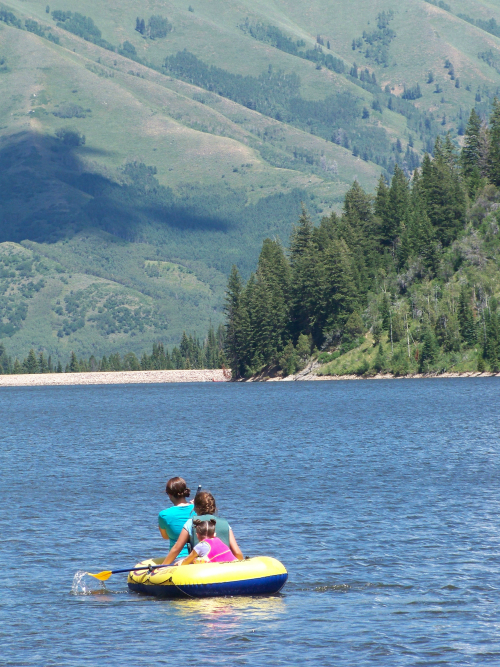 We have an annual family camping trip, where my entire family tries to get together for a week and go up and spend some time with each other in the fabulous mountains of Utah. So I decided sick or not, I was packing my bags and going up with the Fam! This year we were going up to one of my favorite places. I love this particular area, it's seriously abundant in wildlife. 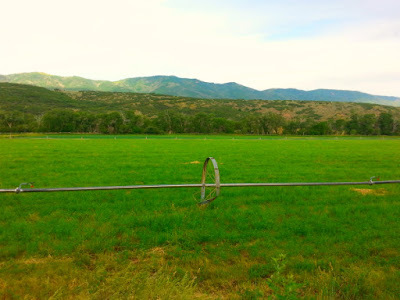 If you are familiar with Utah, these pic's are from the Smith and Morehouse area, as well as Mud Flatts area. I didn't do any major hiking as I would have liked. 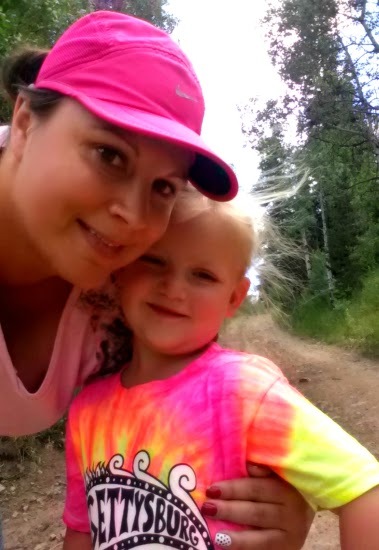 But I did get some light hiking in, and have officially turned yet another one of my nieces into a hiker. 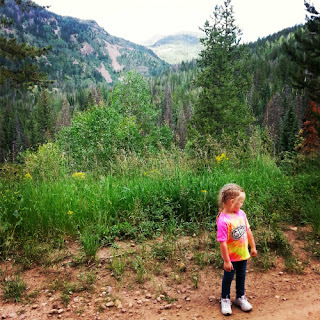 This 4 year old, can hike as good as most adults now, and go for miles! I didn't get any fishing in myself, which was my own fault. I thought I had left my fishing license in my pink fishing vest which I keep in my parents 5th wheel, but apparently I left it at home. So no fishing for me. So instead I just helped my nieces and nephews fish. In other words, if you have been fishing with kids, it means lots and lots of replacing hooks and adjusting lines:) Good think I love them! We had beautiful weather all week. At around 7800 feet, we were low enough in elevation to avoid some of the bigger rain storms that hit higher up, and we were high enough to sleep in the comfy snuggle in your sleeping bag 40's and have days in the t-shirt wearing 70's... Perfect temps if you ask me! We were camped near a set of streams and a river. 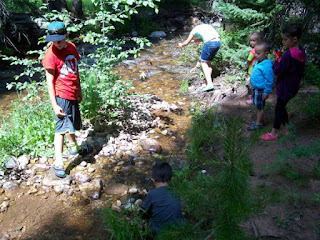 So of course I spent a lot of time going down with the kids and watching them throw rocks in the water. We saw lots of deer every day. In fact three deer bedded down on the grass right near our camp every night. We had some elk that must have passed through out camp one night, as they left us some poo, to prove they were there, haha. I had a raccoon that enjoyed running around on the tarp I had on the ground on my tent entrance in the middle of each night. A few bucks, one was even a 6 point buck, he was a beauty to see! The bear my sister saw, apparently stuck around the area too as a few others spotted him walking around the camps early one morning. But unfortunately, I never did get to see him. 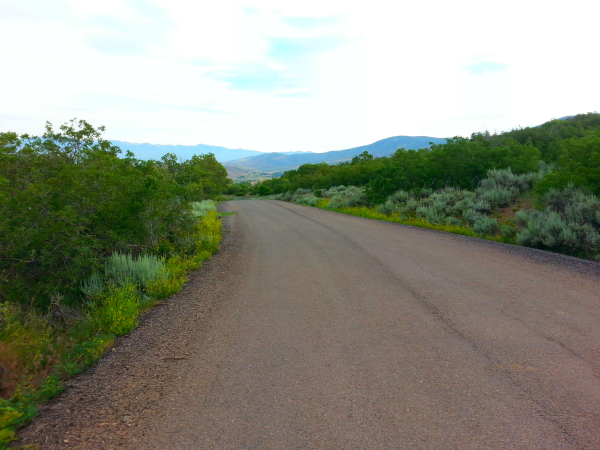 Did I get to run in the mountains? Nope, I don't really want to talk about it much, it frustrates the heck out of me. I will share more on it next week maybe. But in short, I haven't been able to run in almost 2 weeks now:( Which is really a bummer because training in the mountains is my favorite type of running! Whiplash and a Hurt Ego! The entire week, I watched the kids having so much fun they tripped and fell and scrapped up lots of knee's. I kept telling them to be more careful and watch where they were going. I hate to even admit this, but ya as I was taking down my tent and pulling the cover off it. I backed up over a tree stump and took a fall. Right on my tailbone, back and head. I am sure I will pay for the tailbone for months. Woke up Sunday with whiplash, oh my neck is super sore, I literally cannot look up toward the sky, my neck is that hurt. Ouchy! Apparently, falling as an adult over a stump does much more damage than it does to a kid, ha ha..
We did have a little trouble with my parents trailer as we were leaving. I rode up with them, and just as we were finishing packing up and ready to hitch the 5th wheel to the pick-up. The hydraulics that lift the trailer jacks up to get it onto the truck, decided to break. 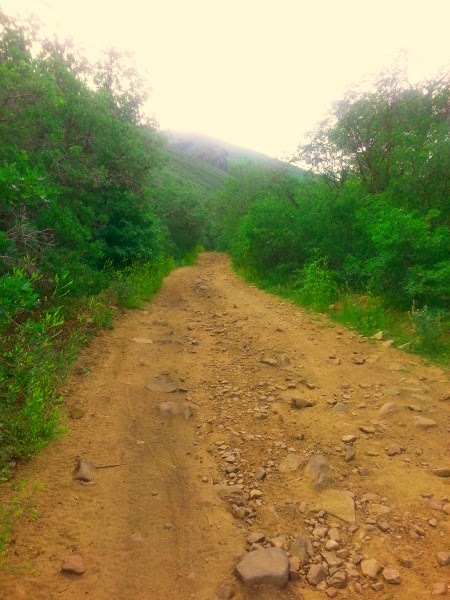 Apparently even though we took it slow on our way up a week ago, the rough road getting into the place jarred loose the part that makes it work. I do have to pat myself on the back though. I figured out a trick, and a lot of muscle and sweat and my dad and I were able to crank it up manually enough to get it onto the truck. I should lie about this, but... I actually went an entire week without washing my hair. Ya, it was probably pretty gross by the end of the week and there is a reason for the hat in the pic above! I put a brush through it half way through and realized it looked better unbrushed, LOL. *cringe* So I joined one of my sisters in the no wash, no brush week... I know terrible, but when you have a cold you realize you don't really care about stuff like that, and after a few days, it quit bothering me ha ha. I know you totally are cringing right now! The weird thing is, I totally could have washed it, especially on the day's I took a quick rinse off the sweat shower. put a no make up picture of her up on the blog. 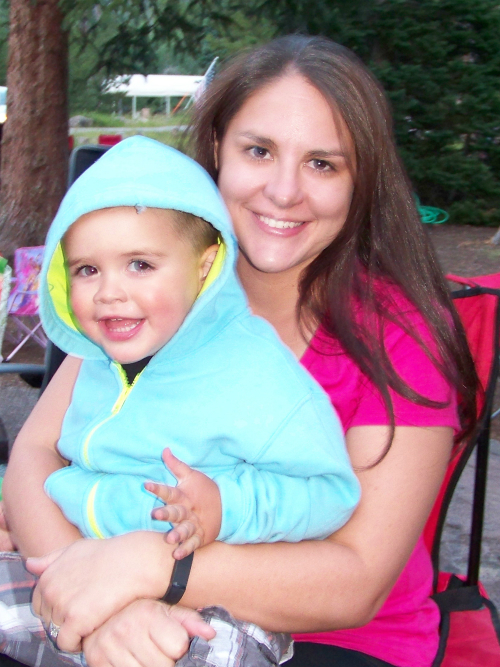 I loved this cute picture I took of her son! Which is great because I now get to throw together a wedding today. Yup, you read that right. I am a little behind and well I haven't done a single thing to get ready for tomorrow's wedding. It's going to be a late night, but it will get done and look great! But on the plus side, I have been booking weddings like crazy lately. I am going to be having my busiest summer and fall in over 4 years. Which is great, I am very happy about this! Truthfully, taking time away from phones and computers is a great vacation in itself! Which is why, you may notice me go MIA quite a bit this summer. 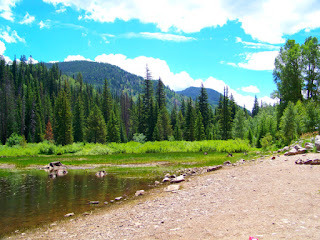 I can't help it, I love to camp and love to hike! This year I have come across a few new awesome camping gadgets and must have items for the outdoors. I am totally going to share them with you, because they are fabulous and some of my greatest finds in years. But this post is long enough so I will save it for another day. But I promise to share soon, because they will make your camping and hiking adventures even better! What have you been up to lately? Any great news I may have missed? 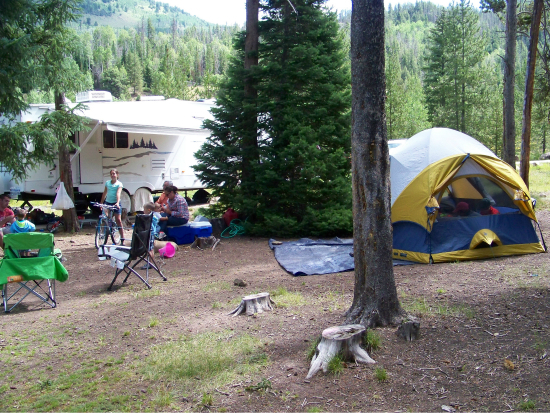 Do you love to camp? 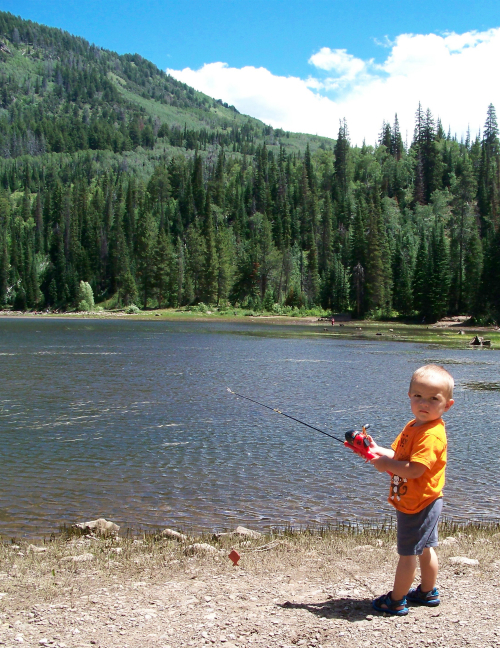 Planning any camping trips soon, or just returned from any? You probably clean your house at least weekly. Or at work, you likely arrange your desk as needed so things look good as others pass by. So why wouldn't you take a few minutes each month and go through your blog and clean things up. This month for my blogger tip, I'd like to suggest a few ideas! Is anything outdated on it? Maybe you have Ambassador buttons or affiliation links you are no longer affiliated with? Maybe the organization of it needs a little work? The same goes for your footer, make sure everything is cleaned up and looking great! Have you been to a blog that has so much going on, it turns you away from it only after being there a second? Did you know you have 1-3 seconds to capture someones attention? If they are a new viewer, you want those first few seconds to be appealing. I understand a lot of blogs do make money with all those pop up images and ads. But many blogs will just add them to have them. If you have pop up's take a look at your ad stat numbers. Are you making enough revenue off them to make it worth turning away many new visitors? If not, I'd suggest turning them off. Or you can have them time delayed to pop up after 30 seconds or 1 minute. Which will distract the new visitors much less, would be a great option to add. I bet you have written a few posts that have stood out and continually receive a steady amount of page views. Take your highest one, and open it up and improve on it. Edit punctuation as needed, maybe re-word things. Clean it up, make it stand out even more so it can be even more to your advantage! Go in and add better images, or make sure you have pinnable images added. Or remove images that don't look great. As you seek out your most popular posts, even if you don't have time go through and edit them all. Pick a few and go in and add great keywords to them. So that in future months as Google crawls your site, it will pick up on them and your posts might pop up more in search engine searches. Most important, make sure you keywords for each post are relevant to the post, so you don't run into getting blacklisted or buried in the search engines, for unfair keyword practices! Maybe you need to remove some plugins you no longer use. Possibly you need to (file) size down some images to make them load faster. Take a look at the things that are making your blogs home page load slower, and fix them. We all have them, posts we came up with idea's on and never quite finished. Or maybe they are works in progress. Possibly they are things we have totally forgotten about. Go through your draft folder and see which ones you actually may use. Delete ones that you have no plans on using or have forgotten about. This might even give you ideas of new things to work on. Through the years I have created great pages for my blog that at the time I thought were keepers. But as I got into blogging more I realized they weren't that important and weren't getting the page views. Do you have blog pages that you love, but when you look at their stats the traffic just isn't there? It's hard when we love something but others don't, which is what google analytics can be very helpful for! If you have pages that have been up for a year, and you look back at the traffic and it's so minimal that you can tell that there is no point. Consider deleting those or changing them. Those are just a few tips to help you out. Do you need to do all the things I listed above each month? Nope, I don't think any of us have time for that. But if we are serious about growing our blogs, we do need to consider a little maintenance as we have time. Personally, I like to pick one thing or one category to work on each month. My blog isn't perfect, far from it. But its come a long way. One thing I have noticed is the cleaner I keep it, the more traffic I get and more of that traffic tends to become return followers. So tell me, do you do any routine maintenance on your blog? 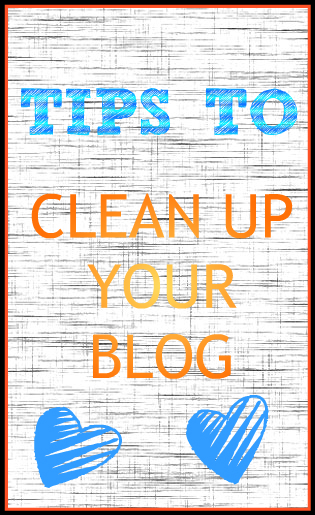 Do you have any additional Blog Clean Up Tips to offer? Last week I had the opportunity to go ziplining. However, this wasn't your normal zipline that you hear about, we did not get to walk or ride up the mountain to get to the top. We had in my opinion more adventure getting to the zipline than we did even riding it down. 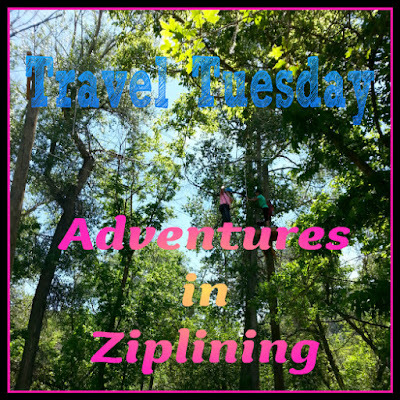 This week for Travel Tuesday, I'd like to tell you about my Adventure's in Ziplining. 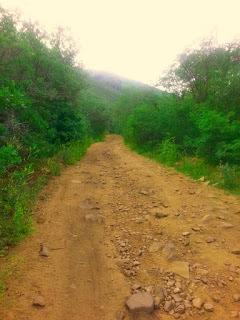 Technically, we did hike a little ways to get to the portion of the mountain that the actual zipline was positioned. I should mention, this is actually a privately owned zipline in the northern Utah mountains, so it's not open to the public. Because of that, I will not be mentioning it's exact location. I did go with a group of youth that I was a camp leader for, we had 9 youth in our group. Our youngest girl was almost 12 and our oldest was 18. Some of them had done this before, others this was their first time. This was actually my first time. I was watching a group go before us, and I have to say they took forever. Some even took 5-10 minutes just to get up. I know some appeared afraid of heights and a few froze half way up and had to be talked through to continue which is why some took so long. But, I don't know if it was because our girls were highly motivated, because they decided they wanted to compete with each other to see how fast they could get up. Or the fact that they were all pretty active/athletic. But let's just say, our fastest girl made it up in 19 seconds, and most made it up under a minute. Seriously, these girls were awesome and fast, I was totally impressed! Which is why as the leaders started, I knew I wasn't going to be able to make it up in under 20 seconds, but I definitely didn't want to take 5 minutes! I had no idea if my tendon was even going to allow me to do it, but I wasn't going to pass up the opportunity. I have gotten good at protecting the tendon and I figured it I used my arms to pull me when it was my right legs turn to push up, it would all work out, and it did! I also had a theory the faster I went, the better my muscles would be and not get shaky! FIRST, we got to climb a 30 foot wood pole. Of course we put on a harness first, but the rest of it was all up to us. One person at a time made the climb, while everyone else watched. 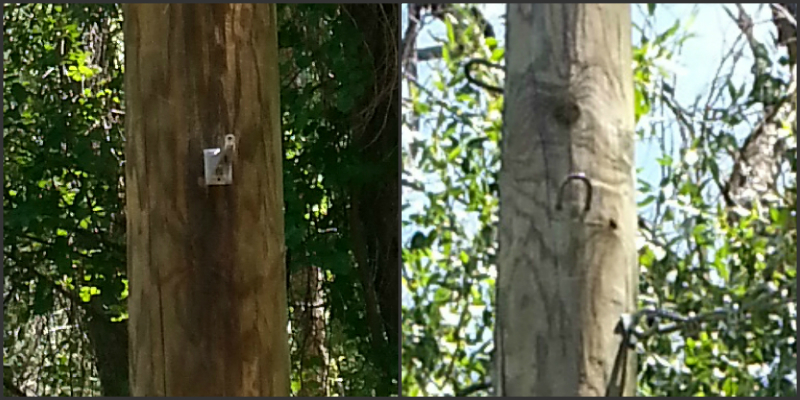 Not going to lie, I have never climbed a wooden (telephone like) pole before, and even more I haven't ever tried to climb up on medal pegs that were only about 3 inches long. 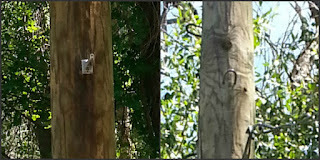 As you got higher up, the medal pegs changed into about 2 inch U shaped pegs. 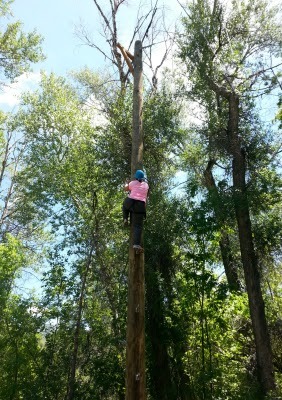 How long did it take me to climb the 30 (ish) foot wooden pole? Well not sure exactly, I didn't have anyone clock me with a stop watch, but one of the girls said she thought it was about 30-40 seconds. I felt like I went up pretty fast, so I agree with that time. I did not want to fall, and anytime I felt my sweaty hand slipping a tad, I just reached for the next. I only paused for a second on one of the pegs, about half way up. Because it was higher than I was tall enough to reach (sometimes, being 5,4 has its disadvantages:). 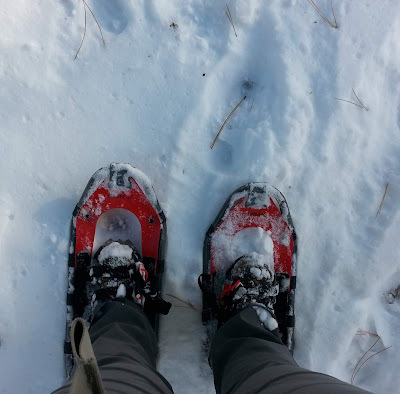 So when I got to it, I had to put my left foot on a peg, and then lean to my right just slightly and give it a little jump and grab the peg above with my left hand, and then I was able to pull myself up enough to keep going at the pace I had been. 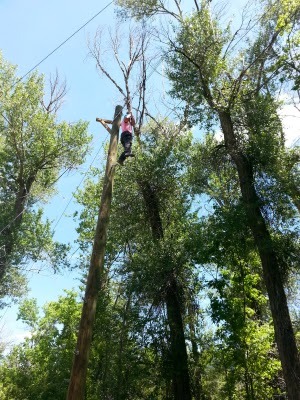 Once I got to the top of the pole, I got to step out onto my next adventure. So, SECOND, we got to climb out onto a single rope that was stretched between the forest tree's and walk across the forest on this rope, while balancing and only holding on with one hand at a time. This was another first for me, I have never walked across a rope that was 30 feet up in the air, with only my own balance to get me across. 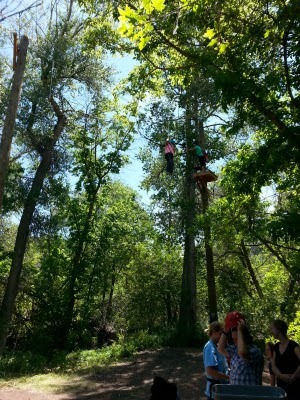 We walked across the tree tops, for about 25 (ish) feet. I had only heard of one gal falling that day, and I did NOT want to be the second girl to fall:) That would have wounded my pride way too much, ha ha. 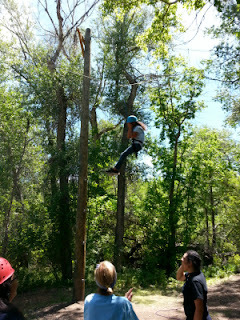 Once we got out on the rope, we actually had to turn around. Which was the hardest part in my opinion. But luckily we were still next to the pole, so we had that to hold onto. 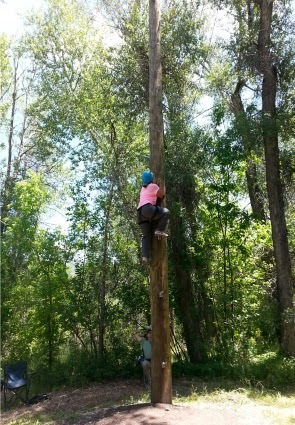 Once we were turned around, I had to let go of the pole and reach out for a single rope that was hanging to my right about 4 feet from me. 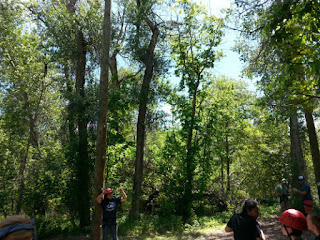 Which meant balancing on the rope for a few steps without falling before I could grab it and use it for help. There was a single rope hanging about every 5 (ish) feet, so in other words you really just had one rope to hang onto at a time. Once you get your balance, I found it to be pretty easy. I found moving faster walking on the single rope was easier than taking smaller steps. I saw some really never get the hang of it, and it was quite shaky the entire time. Thankfully, I did not fall, and this was so much fun! I have never done anything like this. Clearly if you've read my blog and adventures, you know I do not have any problem with heights. 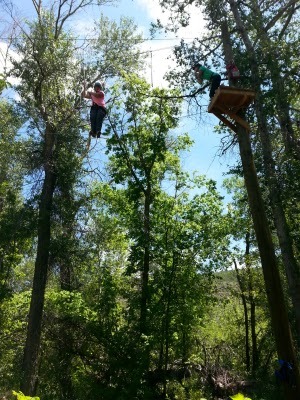 Truthfully the only thing I was afraid of, was being the one to fall, ha ha. But let me tell you, I would and did give it my all so that wasn't even a possibility! No way was that going to happen, whenever I do something new. The back of my mind is always saying just relax, stay calm and make it look effortless and definitely make sure it doesn't look like I am a beginner, so that is what I did! 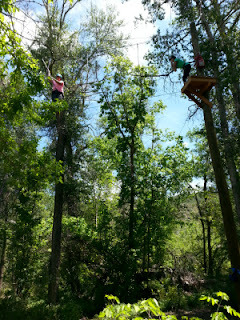 Once we made our way across the single rope bridge near the forest tree tops. We arrived on a small platform. Where a gal, unhooked our harness from the belay line, and put us on the zipline. Talk about small world, guess who was the gal waiting to switch hooks and of course cheer us on and motivate all the girls to get up. An old friend of mine from my childhood. In fact, in our early teen years we had gone to camps like this together too. We chatted for a minute, and then I turned and stepped off the platform. 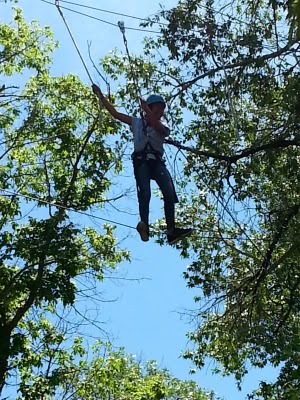 The zipline was a good one. You went a bit down the mountain trail, whooshing through the forest and then as you got to the end, it caught and your weight and momentum sent you back up the line a ways. After you slowed a bit, a guy would grab us, and pull as down the hill a bit to a guy with a ladder. I climbed to the top of the ladder and they unhooked me, and then once down the ladder, they handed me back the line and I got to run/walk it back all the way up to be ready for the next person to use. Most ziplines you won't actually get to do the pole climb or rope walk, per what I have heard or experienced in the past. Would I do it again? Heck ya, and if I do it again next year, I am definitely going to try to make it up the pole and across the rope in under 30 seconds. I mean hey, if 11-18 year olds can do it in 19-60 seconds. Clearly I can do it in under 30, right:) ha ha!! 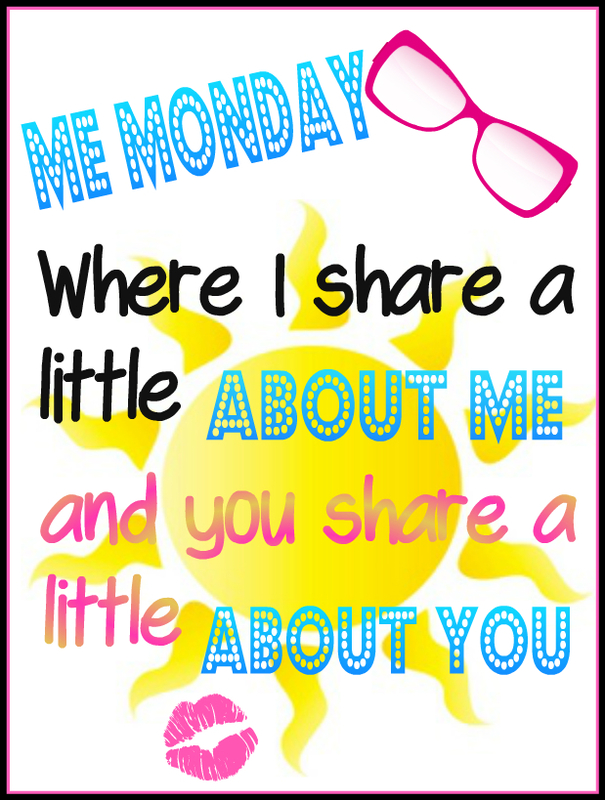 This past week I had to go MIA in the online and blogging world. I mentioned a few months back, I started working with the youth in my community. 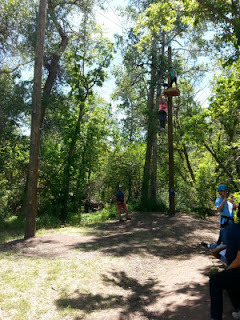 Well this past week was their Young Women girls camp, (girls ages 12-18 can attend) and I went up with them. If I am going to be totally honest, I wasn't exactly looking forward to it. But I committed to going, so I felt I should follow through. I tried to go with a good attitude and just go with the flow. I did however, when I told them I would attend, I let them know I needed my mornings off. I wanted to get out and get my morning run in, and I am going to be honest that hour to hour and a half that I had to myself each morning was probably my lifesaver that helped me get through the rest of each very tiring and active day! Their were 9 girls in the group I was a leader in. Truthfully, they were great girls and I actually really ended up enjoying getting to know them better. There were about 150ish girls up there all together, and after witnessing some of the girls in the other groups, I have to say I think the group I was with were the best, very little drama, and great attitudes! The unfortunate thing was the high temperatures. We were up in the mountains, but not very high in elevation, only about 5,600 feet. Which meant, HOT. It was over 100 degree's each day, but one. The heat doesn't bother me, but the girls who aren't very outdoorsy, had a much harder time with it. However, the best part of the entire week, was the fact that all the girls at camp guessed my age to be 12-15 years younger than I really am. Ya, they definitely won points for that:) When I told them my real age, they didn't believe me. Nothing makes your day/week/month better than when TEENAGERS (of all people) tell you that you look 15 years younger than you do. Not only that, but the age they guessed was so much closer to their own:) than my own LOL. Yup, that was a confidence booster for sure!!! I mentioned I went running each morning. Being my first time up in this area, I spent a little time running through the farm towns. Which was fun to watch the baby deer chasing each other in the farmers fields. I actually haven't been up in this area before, so it was fun to explore new places on my own. leaders out on his mountain bike on the trail. I haven't done real trail running like this in years, I wasn't sure how my tendon would handle it. But I think all the hiking I have been doing has really done some good. 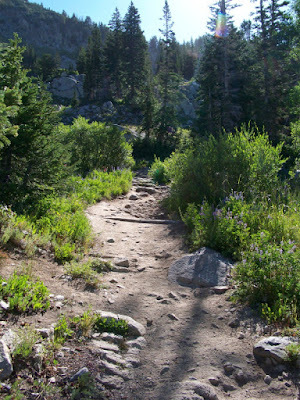 I noticed my tendon didn't bother me a bit, and when I made the return trip back down the trail each day, down hill I really opened it up and had some fun criss crossing and leaping over the rocks and dips in the trail. 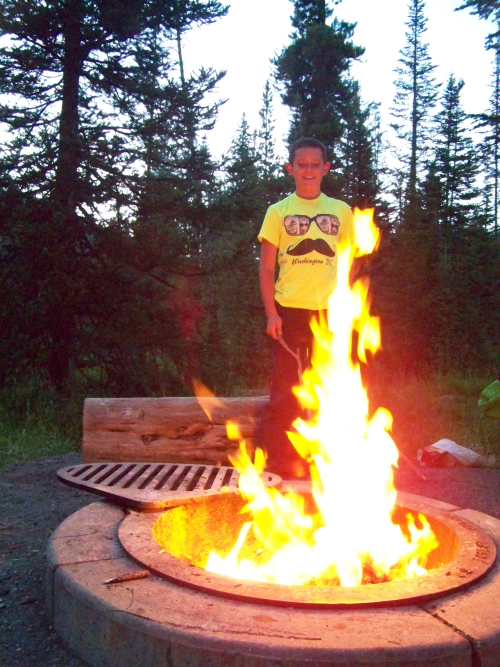 Truthfully, I had a hard time ending it and going back to camp I was having so much fun! We spent a little time taking our group of girls down to one of the local lakes in the area. We didn't have water craft. 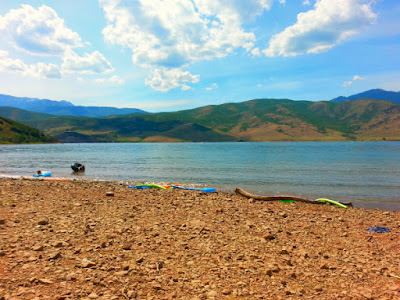 But escaping the hot temps, and jumping in the water was fabulous! I thought the lake water would have been colder, but it felt great! We just floated around on noodles and inner tubes, chatting and having fun! 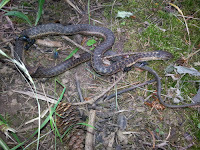 Eventually I did make it back from the camping trip on Friday, and I was exhausted. I pretty much slept the rest of the day away. However, I did wake up and managed to take enough caffeine and went out to see a movie, Jurassic World, I really enjoyed it! Saturday, I spent mostly sleeping if I am going to be honest. But that evening, my family and I got together for Red, White & Blue snacks, driveway campfires and of course fireworks. I rarely or don't discuss religious or political topics on my blog, not because I am not into those things. I very much am, but rather than offend or bring up topics that could turn into a debate and loose the positivity I like to promote. I do my best not to bring them up for debate on this blog. However, I do want it said; I am a VERY Patriotic individual! With so many recent things going on in our country, that really make me sad and disturbed about the way people take our American history, flag and our country and our amazing historical past for granted. Because they themselves don't understand it or never took the care to learn about it to develop a sense of pride in patriotism. I myself will take this Independence Weekend to not shy away from saying, I love this country! I love the American Flag and what it stands for. I love what our founding fathers created for us, and I love the men and women both past and current who have sacrificed their time and their lives to help fight for and build this great nation. No matter what changes come about in our society and what things organizations are able to do away with or change. I will always and forever be proud to be an American and I will never change my thoughts on "In God We and One Nation Under God!" I will also always wave the American flag proudly, and always put my hand to my heart when it is time to sing the national anthem, because I have a deep belief in its meaning and values! I will also always firmly stand against anyone who tries to take away those freedom's from me! So tell me, have you ever served time to help the youth in your communities before? Do you find giving your time, is a rewarding experience? 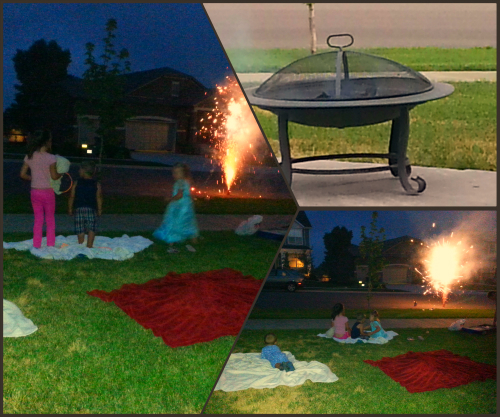 If you're American, how did your Independence Day celebrations go? Did you take a minute away from the parties and fireworks of the day to reflect on what happened in 1776 when we established our independence and all the things that have happened in the past to form this great Nation?